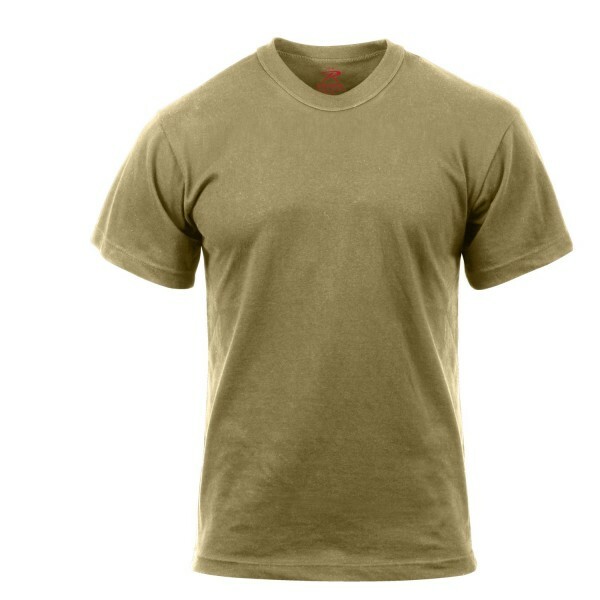 This T-Shirt is made to US Army regulations and is fully compliant to wear with both Multicam and Scorpion OCP (Operational Camouflage Pattern) Uniforms. The comfortable and durable Cotton/Poly crew neck t-shirt has been made to match the Pantone color 499. We have 2 different styles. 50/50 and 100% Dry ringspun cotton. Our Ringspun cotton is the softest and most comfortable t-shirts. We use Both Rothco and Soffe brands. The Company Soffe actually has its manufacturing plant right here next to Fort Bragg in Fayetteville NC. These T-shirts are great for PT and other activities.